An Italian fabric house specializing in traditional fabrics with a contemporary twist as well as wide range of sheers. The lampas and silk brocades are woven on dedicated looms, according to the best Italian silk weaving tradition, giving them the status of instant classics. Franco Foresti founded the company in 1964. A grandson of the famous Fendi sisters, Foresti hit the ground running with the impeccable style and taste that runs in the family. Franco Foresti spent years selecting the finest suppliers of quality yarns while always staying on the cutting edge of fashion by placing a large focus on design research. Through hard work and key decisions, Foresti fabrics became synonymous with Italian style and high class taste, separating itself from the competition. 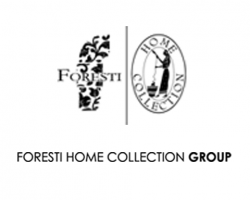 The company is currently managed by Marco Foresti who combines experience and taste to guide the future stylish choices.